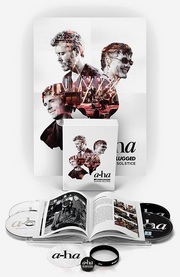 a-ha’s German record company has an option for two more albums by the Norwegian trio. Still, a-ha’s manager Harald Wiik doesn’t think it will be a problem to end the contract with the German broadcasting company ProSiebenSat1 and their record company We Love Music. “They haven’t asked for a renewal of their option, and we haven’t asked for it either, but that doesn’t exclude the possibilities of further co-operation”, Wiik tells VG. “Since ProSiebenSat1 is a broadcasting company this could mean everything from a live-DVD and TV-specials to promoting farewell-concerts in Germany over the next year. It would have been unfair and unnatural not to continue our co-operation, since they have given the a-ha name a considerable boost. Both ProSiebenSat1 and Universal Music have devoted large resources and energy to a-ha”, he says. But Wiik would like to point out that a-ha don’t have any extra obligations toward the record company since they haven’t been paid any advances [for future albums]. 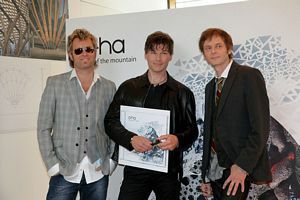 a-ha originally signed a three-album contract with the German branch of Universal Music in May 2004, but the Norwegian trio – who own all their master tapes themselves through their company a-ha Network and then sign individual licensing deals – re-negotiated this contract last year. Universal is still onboard as a partner, but the new main partner was the broadcasting company ProSiebenSat1. This is also the same company that has signed Marit Larsen in Germany, through their joint venture company with Sony Music – Columbia SevenOne Music. a-ha Network currently has four different licensing deals for a-ha’s albums – with We Love Music (ProSiebenSat1 and Universal Germany), with Universal Norway and with two indie labels for the markets in South America and Japan. For Universal Norway, the news of a-ha splitting up won’t entail any problems either. “The contract was uncomplicated and mostly covered things that have already been released”, says Petter Singsaas, managing director of Universal Norway.